The Valve deal applies to every single Independent Games Festival Main Competition finalist. 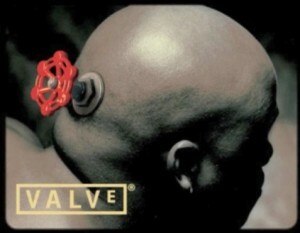 The Independent Games Festival (IGF) has announced a new deal with Valve for its 2013 competition. Every single Main Competition finalist will be given the opportunity to sign a Steam distribution deal with Valve. Finalists will be announced January 2013, with the winners being chosen at the March 2013 Game Developers Conference. The deal applies across the board, including everything from the Excellences - in Design, Art, Narrative and Technical - as well as the Nuovo Award and the Seumas McNally Grand Prize. Excellence in Narrative is a new category for 2013, while the Nuovo award is intended to allow more esoteric art titles to compete against longer-form indie games. Winners get cash prizes, anything from $30,000 - the Seumas McNally Grand Prize - to $3,000, for each of the Excellences; but the Steam deal is likely to mean a much bigger financial reward for the finalists. There are five finalists for each category, except the Nuovo which gets eight. Previous finalists and winners of the competition include World of Goo, Super Meat Boy, Braid and Minecraft. "Opportunity to accept" in this instance means that the game makers have the option to say no - you never know, stranger things have happened - but should they accept, they get the deal of a lifetime.